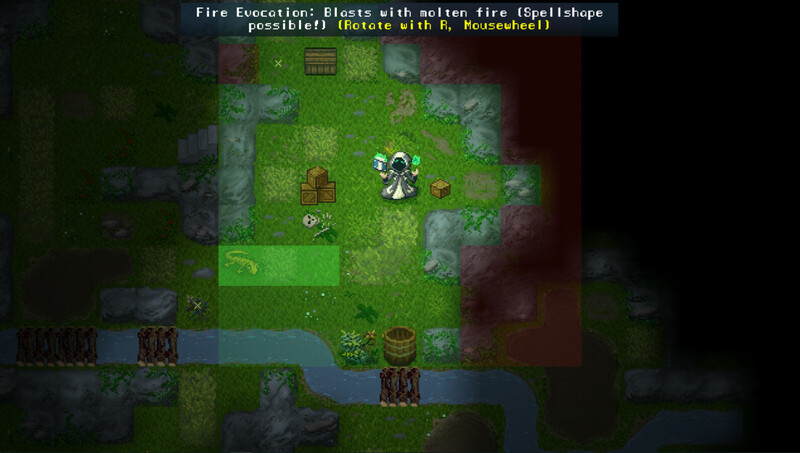 Roguelikes are a hot trend on Steam, so it’s rare for me to see a true blue roguelike crop up. No strange genre crossovers here in Tangledeep, just good old fashioned roguelike. Dungeon crawling, permadeath (if you so choose), the works. The story of this game is fairly bare bones at the moment. People live underground, but some are drawn to this massive labyrinth heading towards the surface called Tangledeep. No one knows what lies at the top, but many have tried braving its treachery. That’s where you come in, an adventurer looking to unravel its mysteries. Most of the gameplay is traditional roguelike stuff. Progress through a dungeon, floor by floor, finding hopefully worthwhile loot and dispatching enemies. 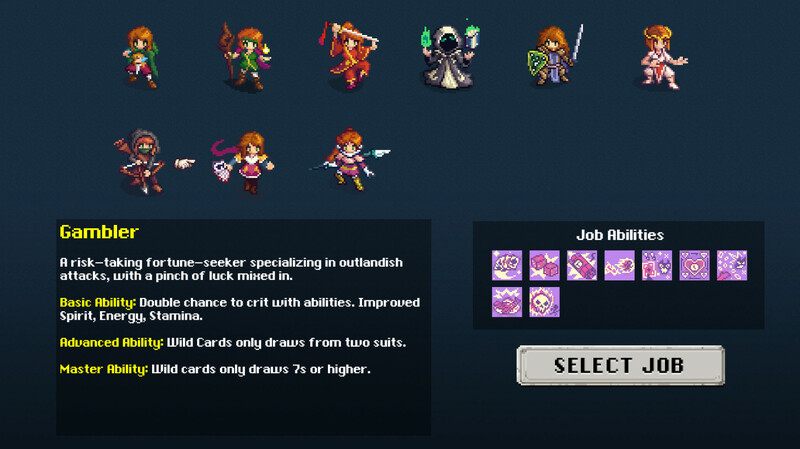 Where Tangledeep sets itself apart is its job system, which seems pretty directly inspired by Final Fantasy V. You pick a class at the start of the game, and as you kill enemies, you earn job points, or JP. 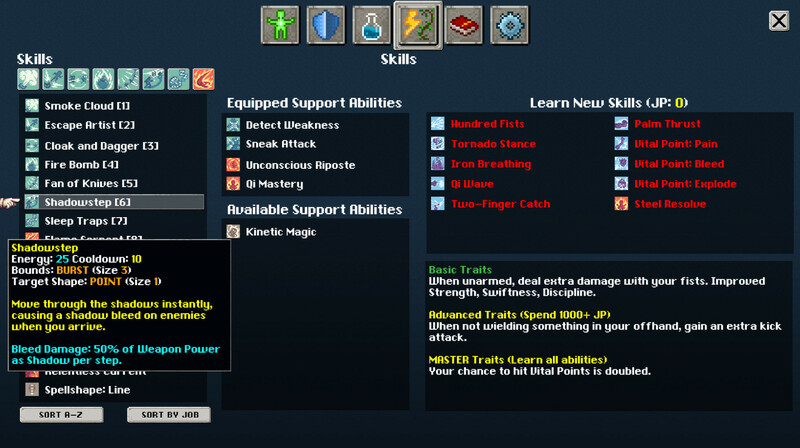 This is used to learn new abilities which can be either attacks or passive buffs. At the town hub, you can change classes for a small fee, and then learn those abilities. You can mix and match abilities however you want. There is a limit to how many abilities you can have equipped at once though. This system allows for a ton of customization. 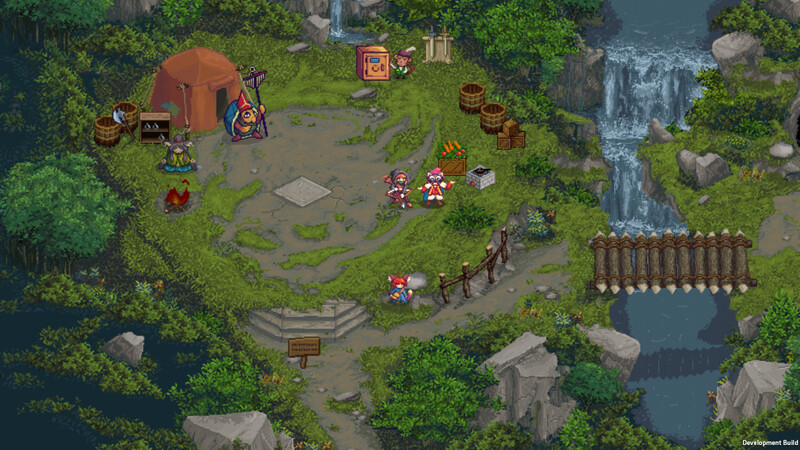 Tangledeep offers a few conveniences to make it a little less daunting than some other games. You can store items and money at the town hub so that if you die, you can have a bit of an advantage for your next character. You have a few healing flasks when the game starts, and on every floor, there will always be two more flasks to pick up. If the idea of permadeath doesn’t sit well with you, there’s even a mode where that doesn’t exist. However, death still carries a harsh penalty. You lose half your money, all unspent JP, and any experience you gained towards getting to the next level. Succeeding in this game is all about smart usage of your skills. It’s not overly reliant on finding good loot, though that does certainly help. When you die, you never feel like you were cheated—you feel like you messed up. You’ll also need to choose when and how to engage with enemies. Taking on a big group in the middle of an area is probably a bad idea. There are two main resources you need to juggle, Stamina and Energy. Most abilities you can use cost one or the other. Some jobs are easier to use than others. The Paladin is beginner friendly, with good offense and defense, and abilities that debuff enemies. Meanwhile, some of the magic focused jobs require really smart usage of your Energy resource, so it might be rough going initially. Each job is pretty unique and changes the way you can approach the game. The presentation of this game is also quite good. The visuals are reminiscent of 16-bit RPGs, though there’s just a bit more detail in there than you would see in a SNES game. The town hub looks great, however the tilesets for the dungeons right now just don’t look as good. I don’t know if that’s just the nature of procedural generation, or if they are just placeholders. Overall, Tangledeep seems like a solid roguelike. The job system adds a lot of customization that I’ve only barely tapped into. There’s probably a lot of cool stuff you can do that I haven’t discovered yet. Despite being Early Access, it seems pretty full featured at the moment. There’s only 20 floors of the dungeon, but there’s multiple paths, and the job system really adds replayability. It’s currently $15 on Steam. I can definitely see myself coming back to this once it launches.